CHILDREN from across Woking borough learned valuable life skills and how to keep safe and healthy during Junior Citizen courses held throughout March. A series of fun and informative sessions were staged for primary school pupils taking part in the in the long-running safety programme. The course, held at Woking Football Club’s ground in Kingfield, is organised by members of the Safer Woking Partnership. It is supported by Surrey Fire and Rescue Service, Surrey Police, British Transport Police, Woking Borough Council, New Vision Homes, the football club and the Children and Family Health Service. 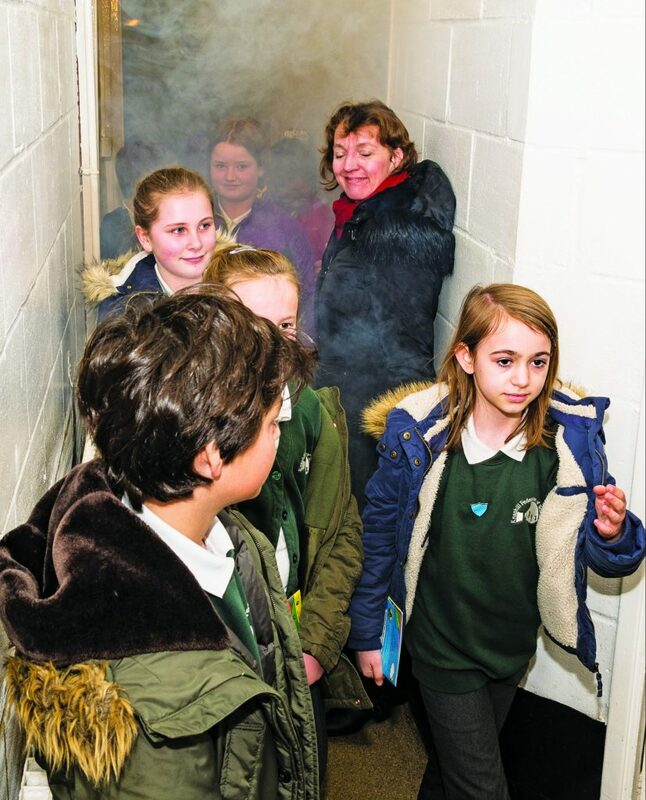 The children found out what it is like to enter a room that is on fire and a “stranger danger” session was led by police officers. British Transport Police raised awareness of the hazards around railway lines and a new session for 2019 run by the Children and Family Health Service had advice on healthy eating and the dangers of consuming too much sugar.